World renowned environmental leader and ecologist Dr. Vandana Shiva expresses concerns that Bill Gates, founder of Microsoft Corporation, is a partner of “a poison cartel of three” -Monsanto and Bayer, Syngenta and ChemChina, Dow and DuPont, all of whom allegedly have “roots in Hitler’s Germany and finding chemicals to kill people”. Watch video here. Dr. Shiva asserts that Bill Gates, one of the world’s biggest IT giants, did not invent anything, that his Basic program “was made by some mathematics professors in a college”, and that the “Office operating system was by a software engineer, and he bought it for $50,000, and that he organized to “build an empire by creating patents on software”. Being a recipient of the Alternative Nobel Peace Prize, the Right Livelihood Award, says, the “war on cash” was announced at a time when 90% of India’s economy is cash, overnight, everyone lost their lifetime savings and she attributes Bill Gates of being behind the “Demonetization” effort to get cash banned in India in November 2016 and states that everyone was made vulnerable and everyone was made poor. 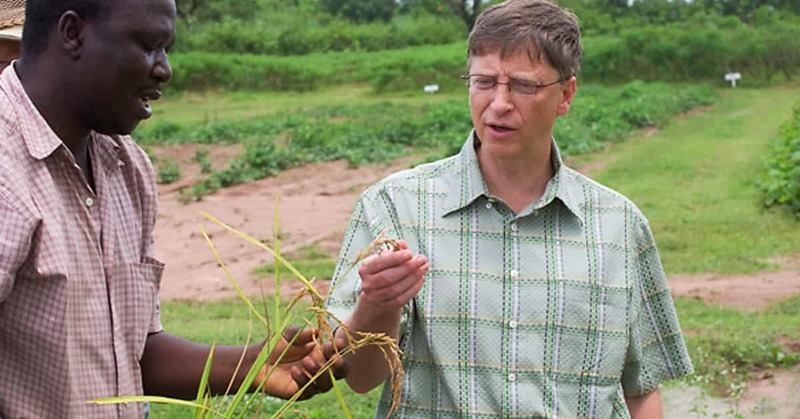 Dr. Shiva contends that Gates started putting a percentage of his earnings into philanthropy and through appearing to being generous on the outside, there was a madness to his mission, that “every place he gives to is his former future markets”, and one of them is the “first generation of (GMOs) genetically modified organisms, the Bt cotton, the Roundup Ready soy and Roundup Ready corn”, which have started to breed superpests and superweeds.” She claims now they’re trying to get new GMOs based on gene drives and gene editing. Bill Gates is financing the research in gene editing and created a company for the patents called “Editas”. Gates will collect rents when the gene editing is pushed through. Dr. Shiva elaborates that in the United States, half of the farmlands are over taken by superweeds, the most important is that of “Palmer amaranth, considered a sacred crop, and at this present time, the US Defense system DARPA and Gates have partnered together for this new technology called gene drives to push species to extinction, wanting to drive the amaranth to extinction. She’s concerned about the food insecurity impact it will have on India. 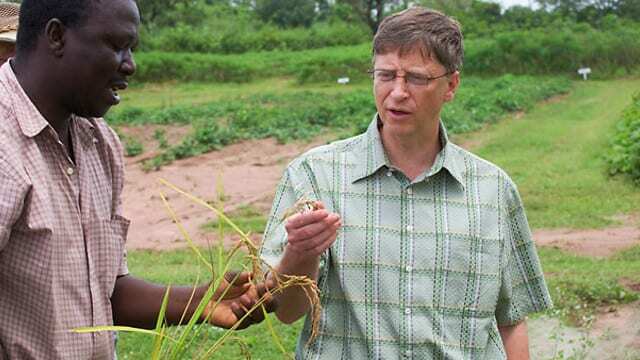 Knowing Gates is further pushing his GMO campaigns in Africa, through the Alliance for the Green Revolution in Africa, pushing patents on seeds and against the laws, the very sovereign laws that countries like India have created. Dr. Shiva indicates that Gates follows in the footsteps of Monsantos and Bayers, and a world of agriculture without farmers, farming without farmers, weaponized farming with drones and spyware in tractors, farms filled with robots and artificial intelligence, she also drives another important point across stating that not only are people being killed, yet butterflies, bees and pollinators are being destroyed. 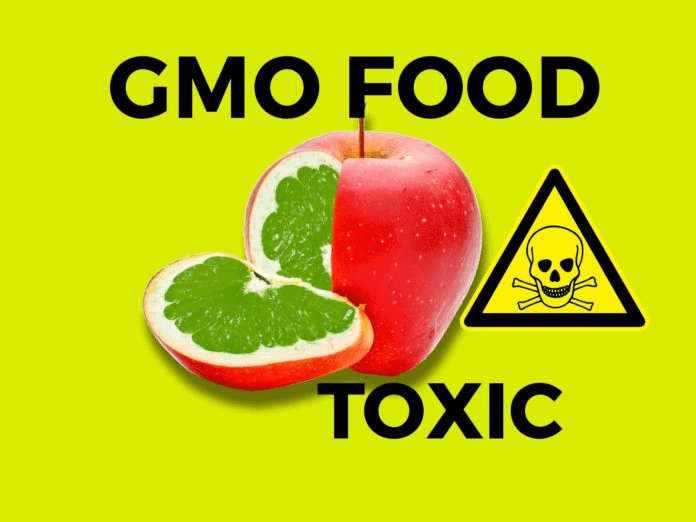 The natural order of all things in agriculture are dying off. According to Dr. Shiva, Monsanto is illegally collecting royalties via Indian see companies, despite the fact that it’s Bt cotton seed does not have a patent, and that the price of seed rose 80,000%, she suggests that this is the main reason why 310,000 Indian Farmers have committed suicide. Monsanto controls 99% of the cotton seed with a prima facie monopoly. Monsanto sued the Indian farmers, using patent law, infringement, in their attempt to knock down India’s law, they failed, and alleging that the Indian Media is complicit in the hands of the poison cartel for lying to the Indian people. Dr. Shiva contends that Monsanto which was bought out by Bayer last year, is making Zyklon B, the very gas that was used to kill millions in concentration camps, and Hitler’s Germany, They were part of IG Farben. IG Farben was the cartel that was tried in Nuremberg, one of Bayer’s inventions is heroin.